We deal with the Council so you don’t have to. When starting a new construction project, there are a number of stages that need to be completed before you can acquire a Building Permit from your local authority and begin construction. WABCA is providing solutions for each stage required to obtain your Building Permit from the early stages of design through to certification of the final documentation. We call this call this client-driven solution, Select Service. WABCA understands that your time and expertise is often limited and is offering its clients ‘Select Service,’ a package of building approvals services selected by the client, and provided by WABCA. A client will typically select the services that they require WABCA to provide on their project to limit the amount of running around, and chasing multiple consultants for quotes. By providing a one-stop consultancy for essential approval services, WABCA can ensure improved efficiencies which will result in saving time and money. For further assistance or for more information in regards to how select services can work for you, please do not hesitate to give one of our friendly team members a call to tailor a package to your requirements. At WABCA we believe in quality, service and understand that your time is important. By choosing WABCA, you will get a hassle free service that will guarantee that your statutory approvals will be obtained as efficently as possible time. Our team consists of professionals who have an in-depth understanding of the prescribed current legislation in Western Australia. Our understanding of the legislation ensures that all of our building code compliance obligations and private certification requirements are delivered reliably and efficiently. WABCA can help provide you with an insight into the inner workings of Local Government and the costs involved in compliance. 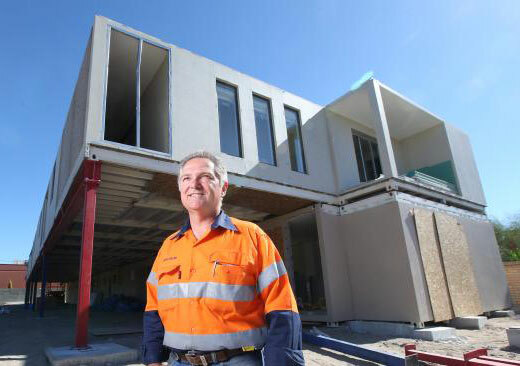 Our services are based on State Government Building Legislation, regulations, Building Code of Australia and all relevant Australian Standards, and our staff have many years of experience in the Building industry with a mixed background of both Local Government and private enterprise. Our Town Planning division can provide a comprehensive feasibility assessment to allow you to maximise your development potential and identify town planning issues, addressing them before engaging your local authority in a lengthy planning approval process. We will provide advice and solutions to any planning issues that will affect your project. Depending on the requirements of your local authority, preliminary drawings may need to be assessed and approved by their Town Planning department. WABCA will submit the documentation on your behalf and act as the shire liaison assisting with requests for further information. As well as being a requirement for most building and planning approvals, a high quality land survey provides valuable information about the site of your project, allowing our team to identify opportunities and constraints early on in your project’s timeline. These details are integrated into the design of your building to pre-empt any design issues and resolve them early. WABCA assists you by appointing skilled and trusted land surveyors with an ongoing relationship with our firm to assess and document your site. Soil Classification is required to be undertaken by a Qualified Engineer to determine items such as footing requirements when designing a structurally sound and compliant building. WABCA will be able to liaise with a Qualified Engineer on your behalf. Working Drawings are a significant component of the building approvals process. The drawings detail general compliance requirements with the BCA, your project needs thorough plans to ensure the details of the construction are clear. WABCA’s in-house Design and Drafting Department has the experience to complete final working drawings of your project, whilst identifying and resolving non-compliance issues during the process to save you time in the approval of your project. Australia has minimum Energy Efficiency requirements for both new properties and additions. These minimum requirements are setting a standard for the amount of power consumed keeping your home within comfortable range of temperatures. Passive solar design principles are used to increase the amount of heat absorbed from the sun in winter months, whilst limiting the heat loss within your home during colder months. WABCA are providing clients advice and consultation, as well as a final certification showing compliance with the building code’s energy efficiency requirements. Structural engineering, as with soil classification, needs to be completed by a Qualified Engineer. Structural Engineers work to ensure your building has the strength to withstand the elements, and the durability to last. WABCA works actively with Qualified Engineers, assisting you with the process of obtaining certifiable Structural Engineering documentation. The threat of Bushfire is becoming more relevant with each catastrophic bushfire event, and in some areas, there are requirements within the Building Codes of Australia to ensure that new buildings are constructed to reduce the threat of bushfire. A Local Authority can designate a property as ‘bushfire prone,’ requiring that proposed buildings on the property must be constructed in accordance with the Australian Standards 3959 (AS3959). In instance where your site has been designated as ‘bushfire prone,’ WABCA’s Qualified Building Surveyors can provide a qualified report, identifying any problem areas of vegetation and assisting in lowering your Bushfire Attack Level (BAL) risk. E.g. BAL 12.5. WABCA is providing reports to client detailing the final BAL applicable to your property so as to accurately design your home to the corresponding risk, ensuring your project is sufficiently protected whilst making sure unnecessary and costly design features are not needlessly included in your project. The certification process is allowing private building surveyors to use a Certificate of Design Compliance (CDC), certifying that a building is compliant with the Building Codes of Australia. A private CDC greatly reduces the time required for your Building Permit application to be processed by your local authority to a legally enforceable 10 day period. WABCA has a number of Qualified Building Surveyors on staff to assess and certify your project. The final stage of the building approvals process is the application for a building permit. This is lodged with your local authority, and once the permit is granted, you are ready to start building your project.